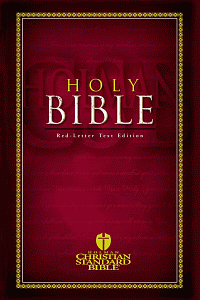 WORDsearch Bible Software is having a sale on a bunch of Bible translations, and they are including one for FREE: The Holman Christian Standard Bible (HCSB). This FREE offer expires in 14 days (~1/25). The translation committee sought to strike a balance between the two prevailing philosophies of Bible translation: formal equivalence, and dynamic or functional equivalence. The translators called this balance Optimal Equivalence and used this philosophy in the Holman Christian Standard Bible translation. The optimal equivalence philosophy supports the inerrancy of Scripture by showing respect for the original words. The clarity with which this version reflects ancient wording – in verb tense, gender, and theological specificity – leaves a clear mark by which to gauge understanding of the text. Now includes links to Strong’s Numbering System, so you can double-click on any word and get the Greek or English equivalent. Download it today to add to your WORDsearch Bible Study library! Share with any who use WORDsearch (or should!) for their Bible study.